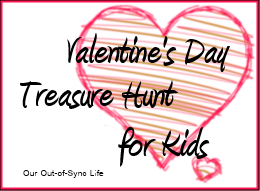 - Have a ‪‎Valentine‬'s Day Treasure Hunt with the family! Using riddles, your children will find nine clues in the refrigerator, by shoes, and throughout the house leading them to understand God's love for them. 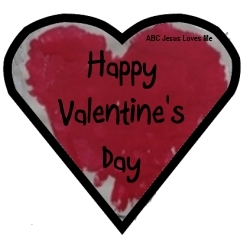 - Make Valentine's Day Cards using markers, glue, scissors, etc. Use this activity to review shapes, colors, and have your child practice writing his name. 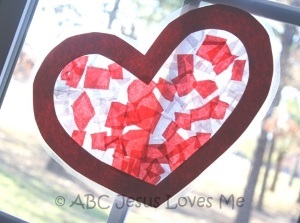 Fold a piece of red construction paper in half and cut out a heart. Set aside the outside paper.Leaving the heart folded, cut out a second heart by cutting parallel, 1" from the outside of the first heart. You are left with a smaller heart and a 1" wide heart frame. Set the full heart aside. Cut a piece of contact paper slightly larger than the heart frame. Peel off the backing of the contact paper and center the frame on the sticky side of the paper. Lay small squares of tissue paper inside the heart, on the sticky contact paper. 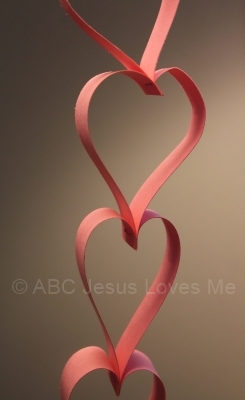 When the heart is filled, lay a second sheet of contact paper on top of the heart (sticky sides together). Avoid wrinkles or air bubbles. Leaving a 1/4" border, cut away the excess contact paper. Hang on the window, or hole punch and hang with string. 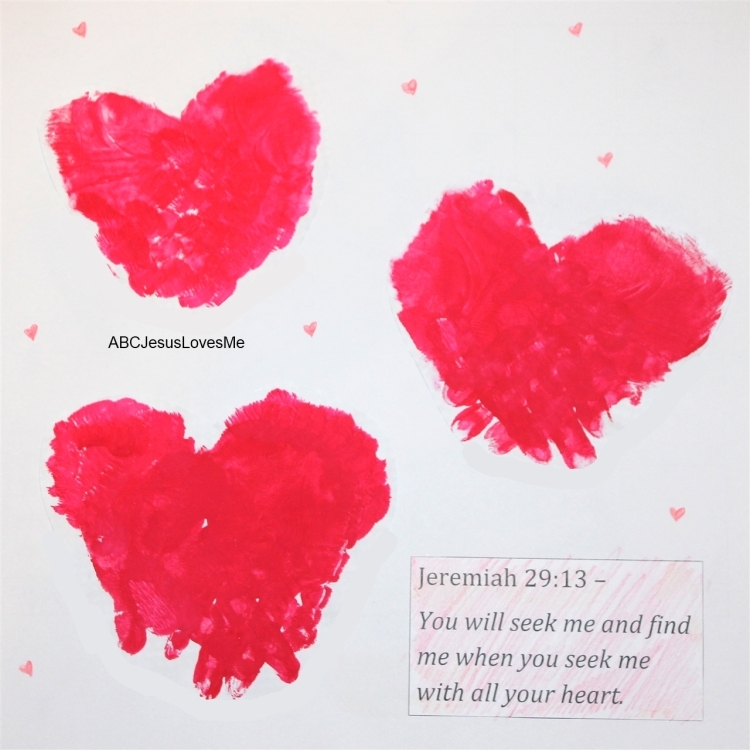 - Let your child practice writing their name on the Valentine's. - Give yourself plenty of time to write on Valentines. Depending on how many Valentines that you need to make, the activity may need to be broken into several different time periods. - Make a card, framed art, or poster using handprints or thumb finger prints. Add a poem or verse and give away! 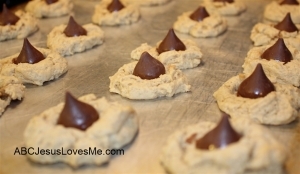 - Make heart shapes cookies to give away. Draw a cross on them with frosting and tell others how God's love is the ultimate example. - Make a Heart Boy or Girl using the Heart Template. Click here for directions. - Heart Pancakes - Serve heart pancakes for breakfast or supper. Our kiddos love them! 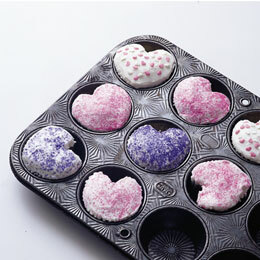 After pouring on the batter, use a utensil to spread out the heart shape. - Place a blowpop sucker on a Valentine that says "_____, you blow me away!"